I'm Shooting Pool, while my brother keeps score! 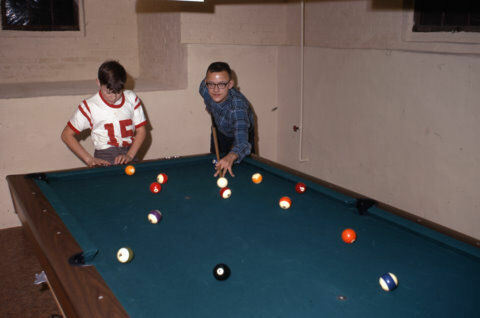 I forget what the score was in 1967, but I was running the table! In this layout, the 7-ball is the key ball, and the 13-ball will be the break ball. a break shot before reframing each rack to continue the run. My high run was a modest 86 balls back in 1971 in college, playing 14.1.